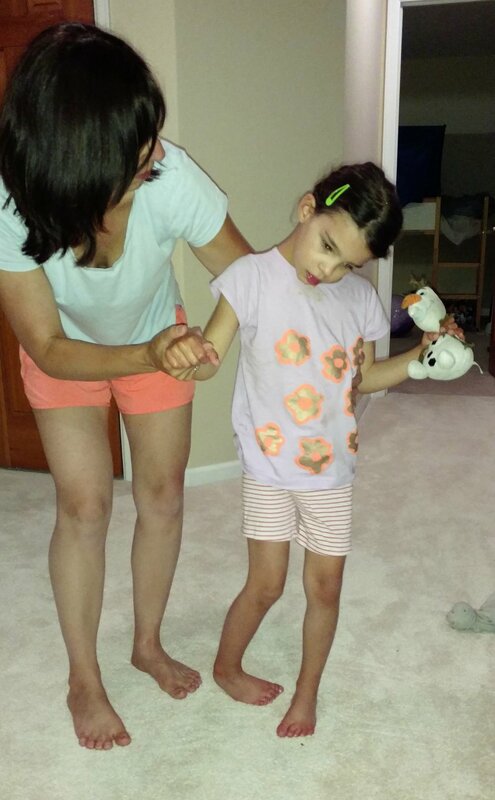 Eight months ago, Mila began a first-ever genetic treatment. We were entering unknown territory. We knew nothing could be worse than the trajectory of her disease, and could only hope that it might stop the degeneration. With her diagnosis of Batten just one year earlier, I felt I was handed a crystal ball that would show the remainder of her short life. I wanted to throw that ball as far away as possible. But it grew around my hands and wrapped around my fingers. My eyes were forced open, forced to look inside and see my daughter growing older, losing every ability and happiness she had known. I saw her propped in a wheelchair by day, lying limp in a bed at night. Her weak neck supported, a feeding tube tucked under her shirt. Her body shook with constant seizures. Her head tipped back, her mouth fell open, and her stare was blank. A schedule of medications taped to our fridge, a Do Not Resuscitate letter nearby. The crystal ball showed me the life of a child with Batten, of the many children that came before Mila, and of those that were still fighting this horrible disease today. I saw countless doctor’s appointments, rushes to emergency rooms and long hospital stays. I stared at MRIs of rapidly shrinking brains. I saw mothers and fathers lifting their children from their beds, into chairs and out of cars. I felt the strain in their backs and arms, the pain in their necks. I sensed the confusion and anger in their marriages. I heard their tears awaken quiet bedrooms in the middle of the night. I continued watching as little sisters and brothers yearned to be heard, their simple childish joys often ignored by their families in moments of exhaustion. Their concern for their siblings was so genuine, their love for them so pure. The pain spread like a river across grandparents, aunts and uncles, cousins and communities surrounding them. Despite this darkness, I noticed these families managed to adapt to their new realities. I saw how ever present they were in their lives, how much they appreciated every day, every moment with their children. I saw a brother grab his blind sister’s hand and rub it on the bark of a tree. I saw a mother nuzzle noses with her son on her lap. And a father snuggle into bed with his kids as he slowly read their favorite story. I saw smiles. I heard laughter. But the pain was always there. And I knew that I had to fight with everything in me to change the story unfolding in her crystal ball. I put sleep, fear and embarrassment aside to somehow put scientists and companies together, to raise the enormous amount of money needed to fund their work, and constantly remind everyone of the urgency. Somewhere along the way I paused. I faced something I had continually pushed away - the realization that my fight might not be in time for my sweet Mila. Then my path crossed with a Boston scientist and the stars aligned. Mila was given unexpected hope. What started as just an idea, turned into a race against time that took us through late nights, weekends and holidays on a mission to stop Mila’s disease. He built an ever-growing team of more scientists, doctors, institutions and companies around the country and abroad to make a treatment happen in record time. No one stopped to take a breath. 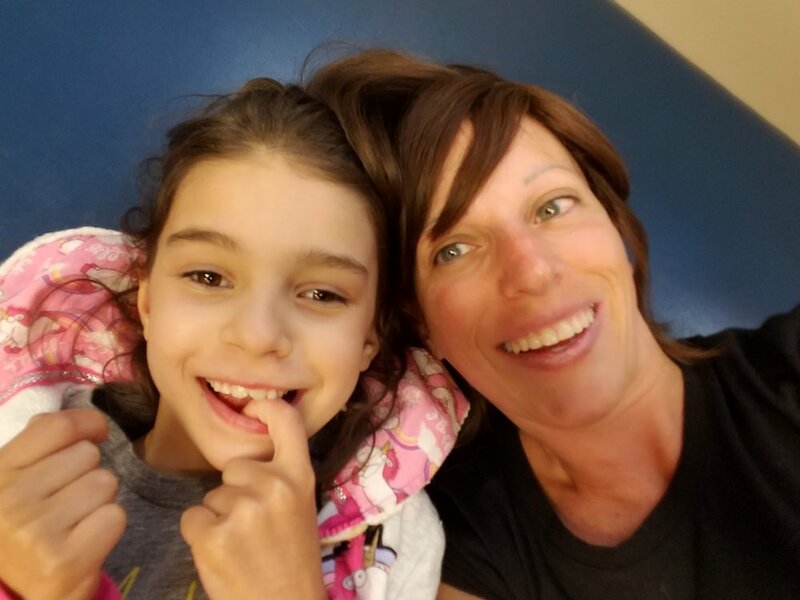 They designed an entirely new drug targeted at Mila’s genetic mutation, tested it in the lab and in animals, produced it, and finally got approval to proceed with her treatment. All in one year. This past January, we moved our family to Boston with a fear of the unknown ahead of us, and a hope we never imagined we would be allowed to feel. As soon as the hospital received the drug, the team was ready and waiting for the first injection. Every day mattered. Mila had already lost her vision and her ability to talk. 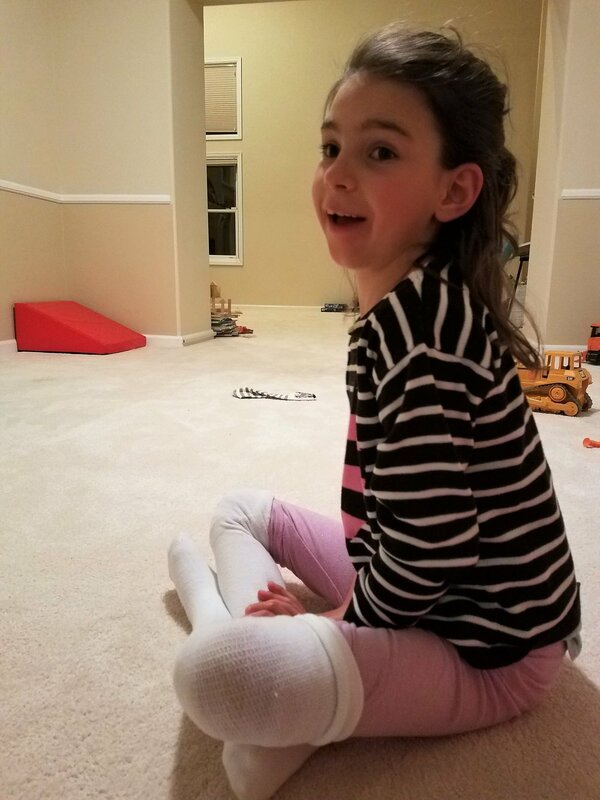 Her barely noticeable seizures had just exploded a few months before and grew to thirty per day that lasted minutes, arms and legs moving violently. Her swallowing was getting worse by the day. Her body was slumped and she could no longer sit up alone. Her legs were giving out when she stood or walked. But none of these regressions compared to watching her little light start to go out. We were losing the Mila that we knew and loved. Her brain was atrophying, and with it her awareness of the world around her, her smile, her laughter. Today, Mila is eight months into her treatment. People ask me how she’s doing and I have to admit that it has been hard to find the right words to answer. Friends and family ask in excitement if she’s better now, if she’s been cured. They dream of a day when life will return to normal. But it’s not that simple. Batten disease affects every part of the brain and body. It’s unbelievably complicated and still very un-understood. And Mila had lost so much before her treatment. Before responding, I try to stop and reflect on how Mila is that day. Not yesterday, or what I hope for tomorrow. But today. No matter the answer, one thing seems to be clear so far - her rapid downward slope has stopped. Something I had thought would only happen in my dreams. And some abilities have improved. She now stands tall and upright. 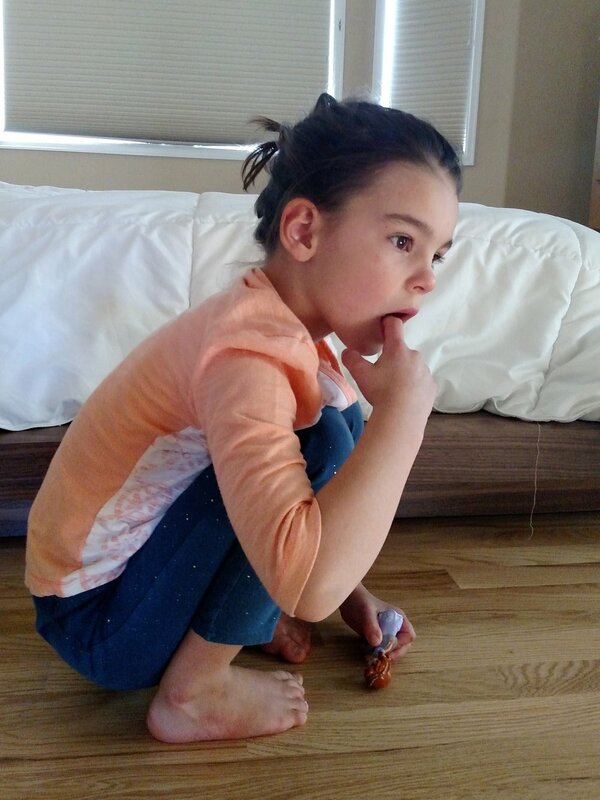 She can sit crossed-legged alone on the floor without swaying or falling. Her legs no longer give out when walking and she climbs the stairs with alternating feet, still with full support. Her seizures have greatly decreased in number and generally last only a few seconds. Instead of arms and legs flailing, a short giggle. Her swallowing has improved and she’s able to enjoy her meals. And her hands will occasionally tap the table and feel for objects now that they aren’t so tightly clenched. But what has brought me the greatest joy is seeing my Mila again. She is alert more often and responsive to the world around her. 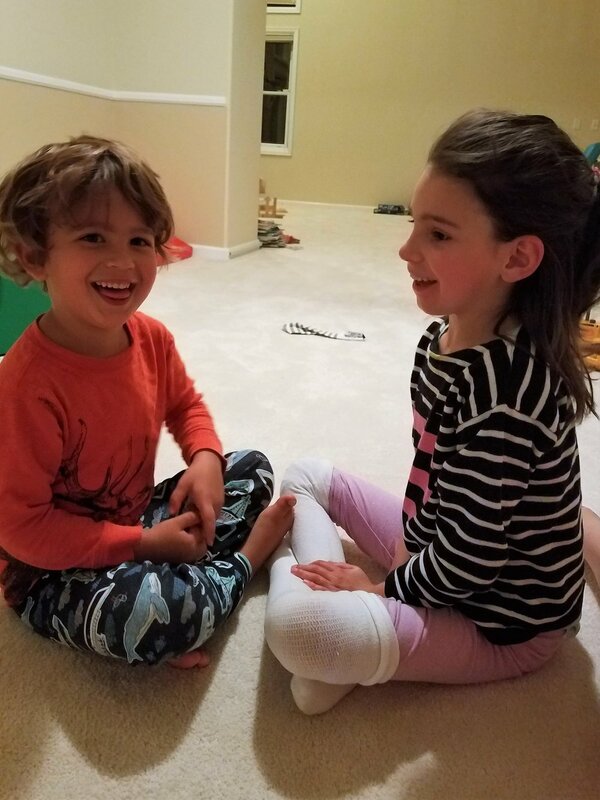 She follows her favorite stories with expression on her face, gets excited and laughs out loud when a dog licks her hand, and smiles when her brother comes up with funny words. Not every hour and every day looks like this. There are times when everything is harder for her - her body leans to one side, her feet drag on the floor, she doesn’t respond to what usually makes her smile. My heart still soars and sinks. I still have no idea what tomorrow will bring. And I am now faced with the incredible challenge of rehabilitation of the skills she has lost. But despite all of this, Mila’s treatment has given her real HOPE. I look back into the crystal ball today and Mila’s story looks different. With the incredible hope Mila has been given, I have realized that Mila’s life truly has a greater purpose than we had ever imagined when she was born. She isn’t just our sunshine. She is a little ray of light, a little spark, for everyone. 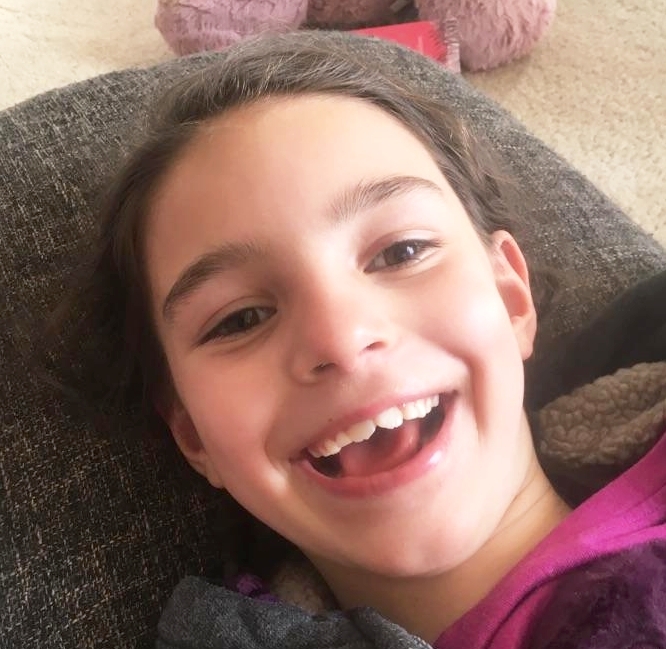 Mila’s treatment is allowing me the chance to ensure that her spark will ignite others, and one day soon there will be a bright light where there was once just darkness. Not just for Mila. Not just for Batten. But for the millions of children around the world with devastating genetic diseases. Sign up to receive occasional updates on Mila and the scientific breakthroughs we are making happen. Thank you for joining Mila's Tribe! There is always strength in numbers, and we are so fortunate to have people like you standing by our side. Click here to learn more about our AMAZING community of support!